When the first MakerBot appeared in 2009, the idea of 3D printing was a bit foreign to all but the most advanced fabricators. Company founder and CEO Bre Pettis says he used to get asked: "So what, do you have to wear special glasses to see it?" Three years later and with 13,000 units sold, Pettis introduced MakerBot's second generation of DIY 3D printers: The MakerBot Replicator 2. You load a digital rendering into the tool's MakerWare software, set it to print, and the $2,199 machine conjures a model from a spool of corn-based plastic. 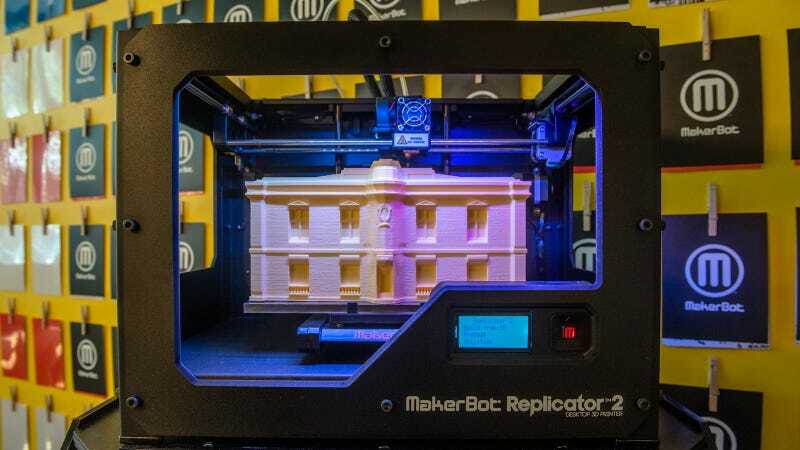 The biggest improvement between this Replicator and the 2009 version might be the increase in the size of the printout itself—this machine can produce an object 37 percent larger than the older version, working from maximum 410-cubic-inch size roughly as big as a shoebox. Another major upgrade is the level of detail—the printer creates the object in layers, and the 100-micron thickness of each layer is so fine now it's nearly undetectable. At a launch event today in Brooklyn, Pettis passed around a planetary gear set the Replicator 2 had produced—for a working prototype, it was pretty polished. "The process used to take hours—now it happens in seconds," Pettis said. The ability to process a job 20 times faster is due to the upgraded software. You just drag a rendering onto a virtual build plate and hit print. But it's also because, as Pettis puts it, the MakerBot team spared little expense in sourcing the components. The resulting $2,199 price tag isn't cheap (the older model, at any rate, was $1,749). But if it enables a small business to produce a working prototype and get an idea into production, it's easy to see the machine paying for itself.